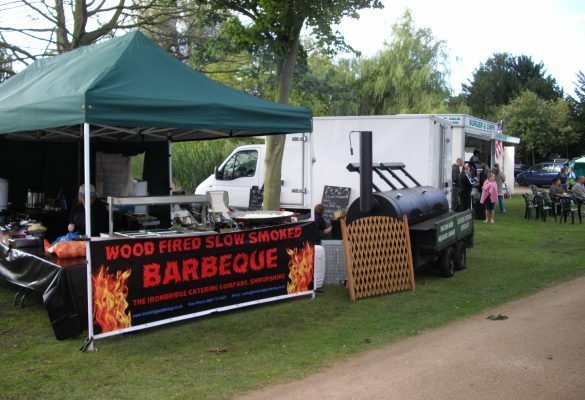 Are you looking for a decent barbeque caterer? Your Problem: The same old sausages and burgers, cooked the same old boring way. Our Solution: Restaurant quality, free-range meat that is slow-cooked for up to 48 hours to create a unique mix of flavours that is sure to satisfy even the harshest critics – your guests! • BBQs with a huge selection of meats and cuts to suit every budget. Proud owners of one of the country’s biggest mobile BBQs, our hog and spit roasts have been developed over 3 years in our quest for culinary perfection. All our meat is free range and comes from Buttercoss Farm in Market Drayton. • We work around you, wherever and whenever you want to eat. We take the finest Free Range Pork or Beef, and instead of serving a traditional cooked pork, our Pig Roast or Hog Roasts are cooked for up to 48 hours, tenderizing the meat to a point where is just falls off the bone. We then serve it with a homemade BBQ sauce and of course the more traditional accompaniments. Our smoked food is based on an American style of cooking that puts flavour above anything else. Overnight cooking just makes it taste even better. People love our food because we have spent time carefully trying out different cuts, temperatures and cooking methods. Vegetarian options are of course included. Just as important as the quality of what we serve up is how we cater your event. After (almost) a combined 5 decades in the hospitality industry, we must have seen it all when it comes to organisational hiccups and logistic nightmares! This is great news for you, because it means as caterers that we see to everything – from bringing our own power to providing tablecloths. It goes without saying that we will work around your celebration and serve up when it suits you. This helps reduce costs if your party is over a whole day, and not just the evening.